The whole town is now gearing up for the upcoming Ramadan month and not surprisingly; hotels and restaurants alike are starting to promote their Ramadan specials. You know what this means: Buffet galore! Ironically, Ramadan is all about fasting but when the Muslims break their fast, many choose to do it in style. 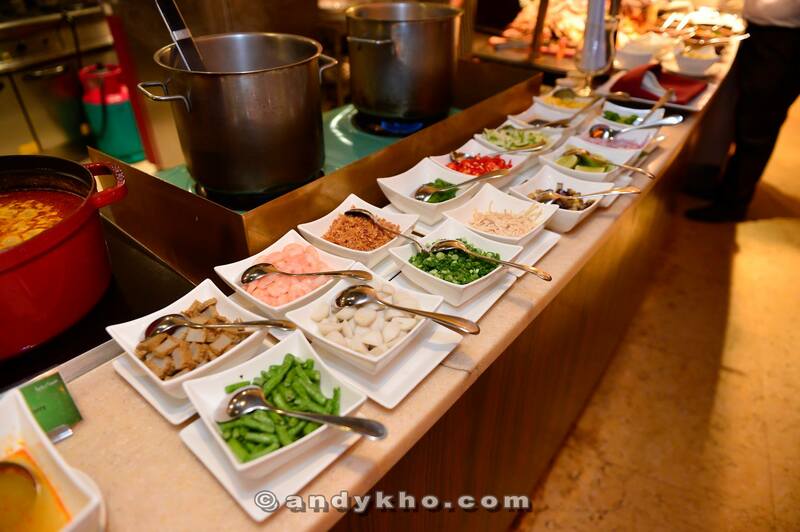 Which is why buffets such as this tend to be really popular. 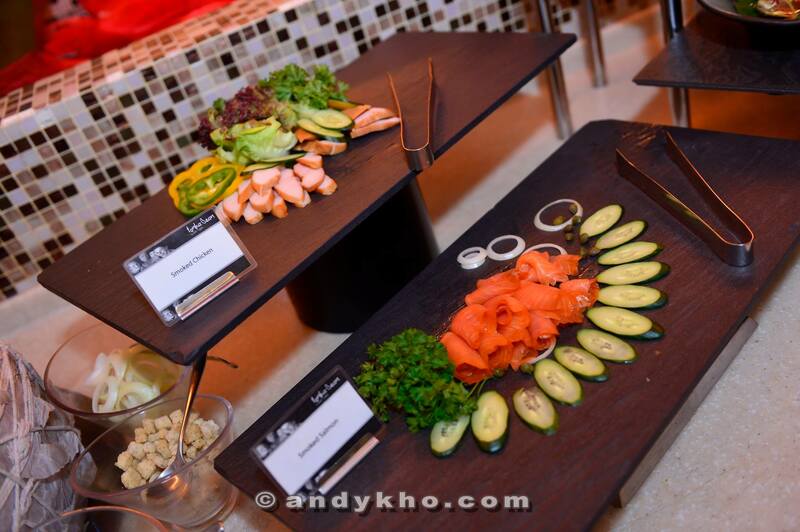 Last week, media and bloggers were invited to a little preview of the Ramadan Buffet at Tonka Bean Cafe. 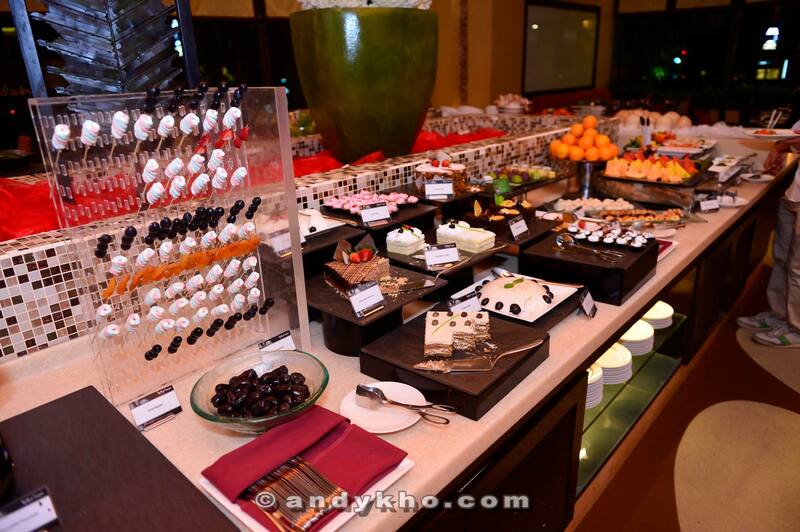 It’s always fun to check out what the buffet line has to offer, and the theme for Tonka Bean Cafe this year is ‘SANTAPAN RAMADAN’. Aptly themed considering the wide variety of dishes they have to offer. My favourite section of any buffet. From cold cuts and salad choices, to traditional Malay dishes, Tonka Bean is set to please any fussy eaters. 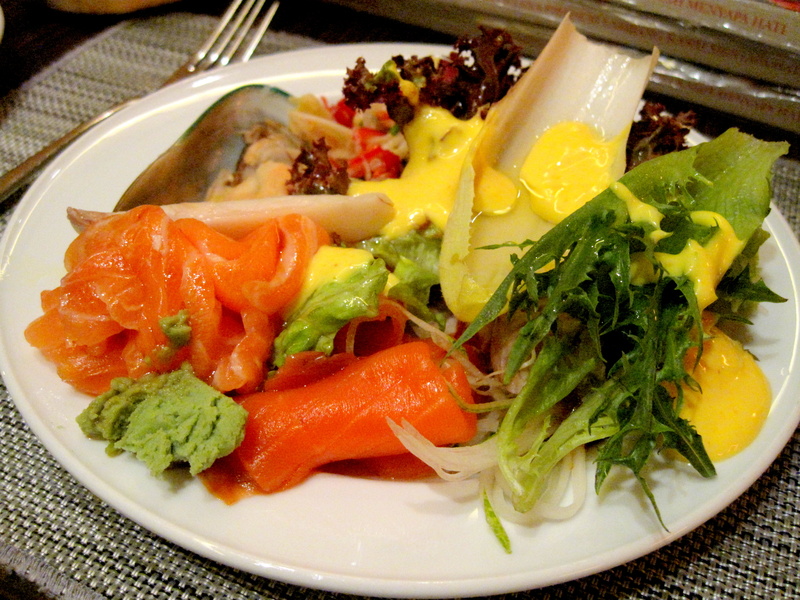 Personally, I love loading up on smoked salmon (they also serves pretty decent Salmon sashimi too). I was curious about all the colourful “kuah” and curries displayed right next to the cold section. Some of the dishes I’ve never even heard before. 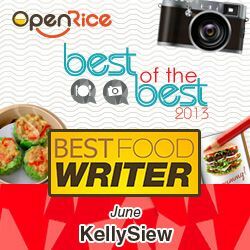 Just look at this list: Nasi Tomato, Ayam Sambal Merah, Nasi Ulam, Ayam Goreng Belacan, Daging Kawah, Gulai Telur Itik dengan Belimbing Buluh, Petola Tumis Air Soo Hoon, Ikan Bawal Masak Siam…. it goes on. Needless to say, I grabbed a bit of everything because they all looked very appetising to me. More hot dishes, this side is more Chinese oriented. Here you get dishes like Steamed Tofu with Mushroom and Soya, Salted Prawn, Chili Crab, Stir Fried Ginger Beef, Chicken Rice, Yong Tau Foo with sauce, Chinese Fried Rice with Silver Anchovy, Braised Chicken with Preserved Vegetables etc. 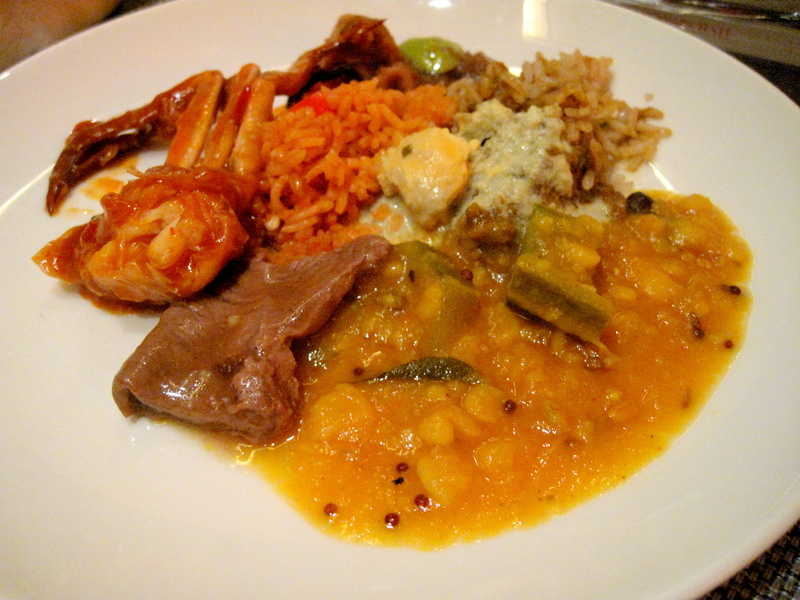 According to the Chef, there will be 30-40% more dishes during the Ramadan Month. It’s just mind boggling. 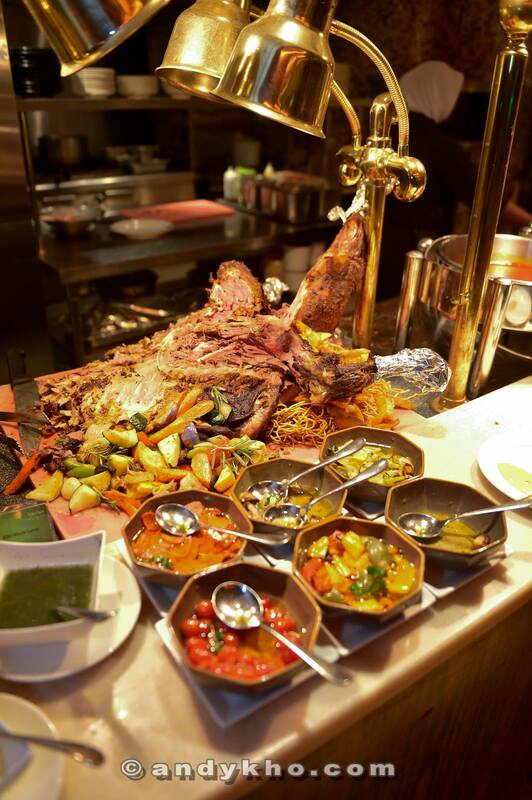 For the patrons with a ferocious appetite for meat, the show kitchen features a huge roast lamb for condiments. Needless to say, this was one of the most popular spots in the cafe. 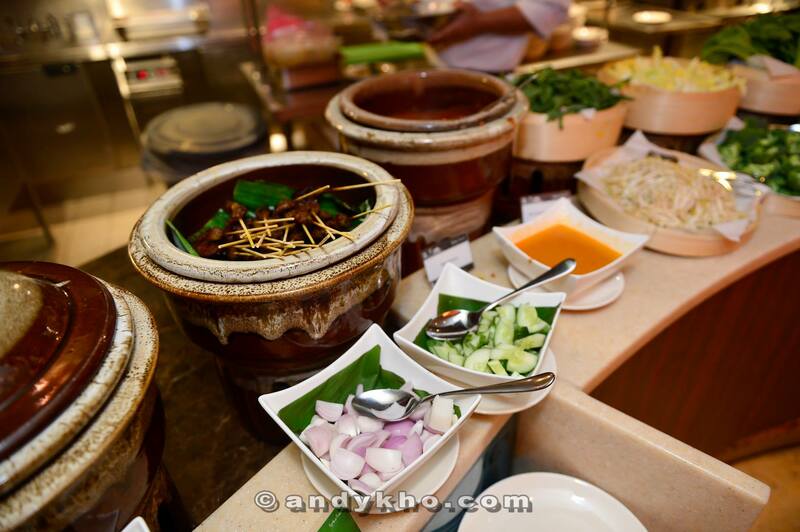 Right next to it, the ever popular satays that are robust in flavours with succulent meat. You’ll be able to enjoy Curry Laksa, Penang Laksa, Mee Soto, Mee Rebus, Mee Mamak, and even Char Koay Teow in one setting. Talk about carbo-loading! I bet you feel full (or hungry) looking at these pictures. But that’s not all! How can we forget about desserts? 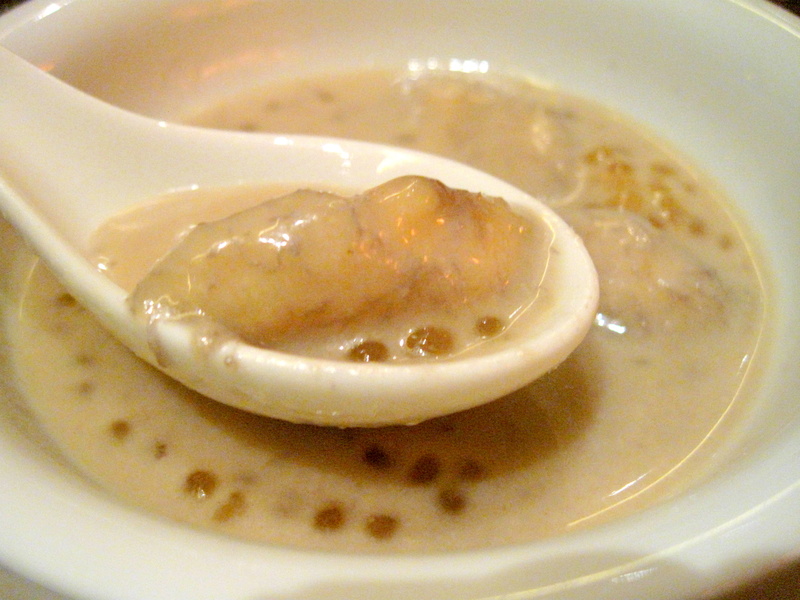 The desserts choice are a great mix of local and international (including a range of local tropical fruits), but my favourite would have to be the Pengat Pisang that I’ve just discovered that night. So simple yet aromatic, dangerously addictive. Oh, I shall show you what I ended up having that night. Healthy greens and some lovely Omega-3 for me to kick start my appetite. Lamb, Satay, more greens, more salmon! I’ve asked the chef to cut me a raw-ish piece hence the pink colour. It was tender enough and went well with the condiments. I helped myself to plenty of that refreshing mint sauce. I enjoyed the dhal (perfectly cooked), duck egg curry (the umami creamy stuff which was new to me) and Chicken biryani (so aromatic with juicy chicken pieces) the most. The Chili Crab was pretty good too. 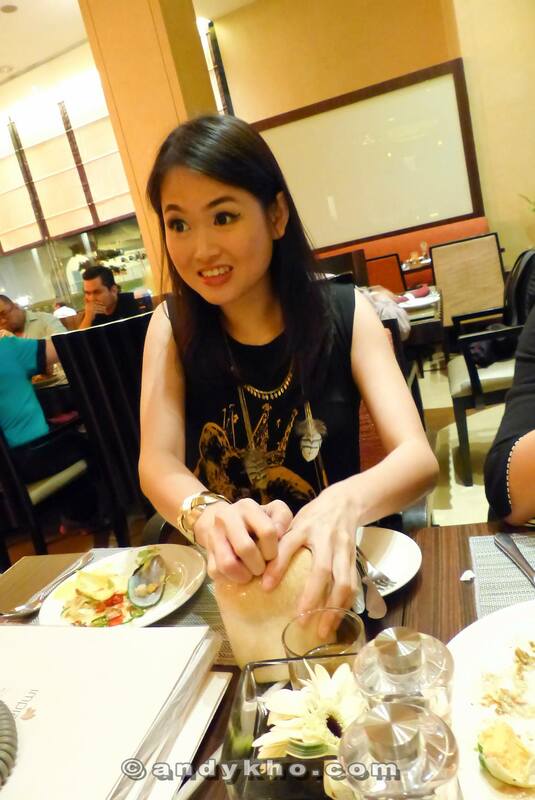 Here’s me looking rather animated while opening my coconut with surgical precision. Hehe. 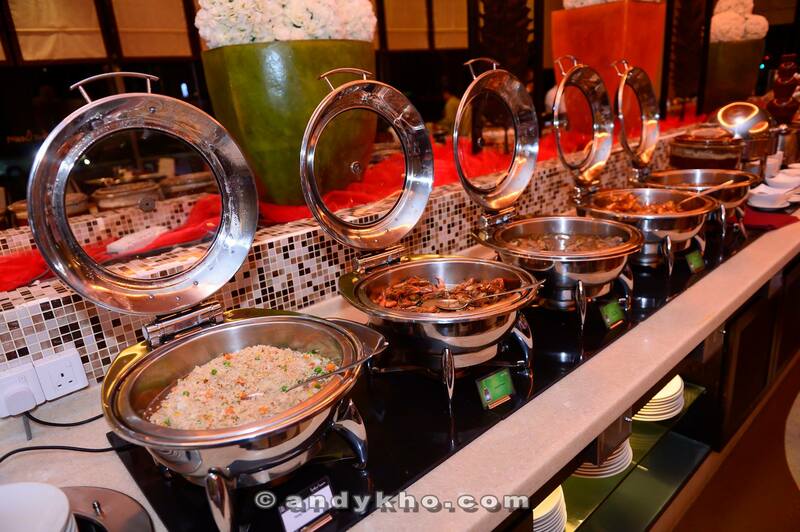 This buffet will be priced at RM108++ per person for the period of 10th July 2013 until 7th August 2013 while children at the age of six until 12 years old and senior citizen above 55 years old are charged at RM 54.00++ per person. Children below the age of six will be privileged to dine for free. 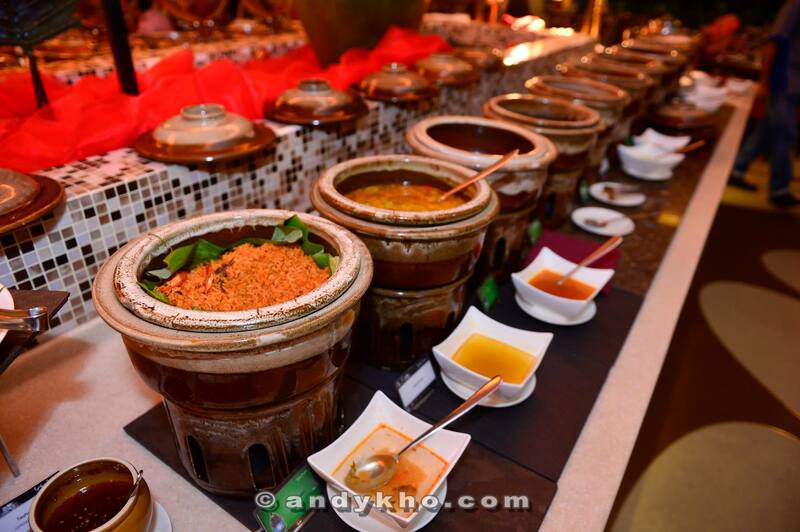 On the first and last three days of Ramadan, diners will enjoy a special offer only at RM 98++ per person. 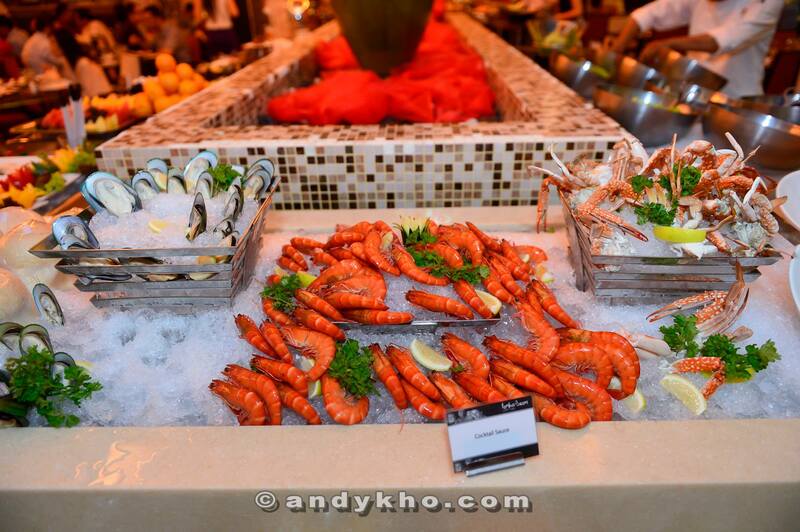 The buffet starts from 6.30 pm to 10.00 pm. All diners will receive an Aquaria KLCC special voucher each whereby guest will enjoy a deduction of RM5 on entrance ticket upon presenting the voucher at the ticketing counter. I’ve never had anything like that before. It’s rich and full of flavours. No, thanks. I’ve gone past the age where I used to enjoy buffets – 5 or 6 rounds were not a problem. These days, I’d just nibble a bit and would be full already – not worth paying the money to go for such things. Sigh!!! Old age! So sad…Sobssssss!!!! Yeah don’t do buffet myself because of the same reason. Review I don’t mind. Just pick the interesting stuff. Oh yes, more salmon and lamb for me please, can’t have enough of these, i don’t mind eating more if i am not watching my diet…. Yeah. 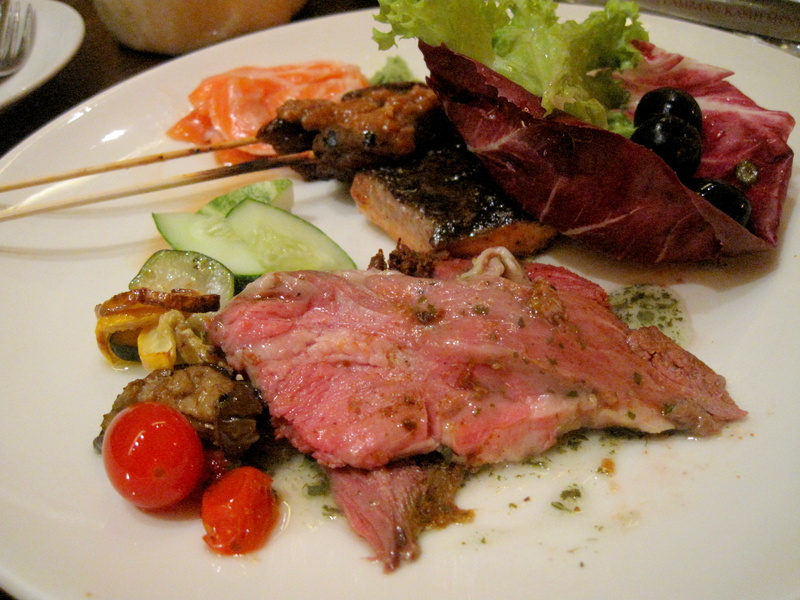 Better t go for the more ‘premium’ dishes at buffets, hehe. It looks very similar to the Chatz one but slightly more expensive. I have yet to go for a buffet here that makes me want to overeat, hehe. But then again I don’t go to buffets enough. if you love processed and junk foods that you need to keep replenishing them regularly.